On February 9, 2017, the iron ore producing area of the Kuni chatsubomigoke colony was designated a national natural treasure of Japan. In Gunma, it was the first designation of this kind in 48 years. 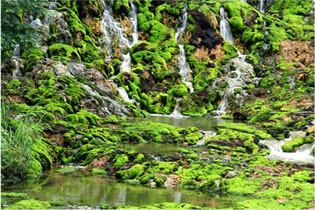 The same area became the town's and the prefecture's natural treasures on April 1, 2012 and March 26, 2013, respectively. In 2015, under the Ramsar Convention, it was inscribed as a registered wetland as part of Yoshigadaira Wetland.